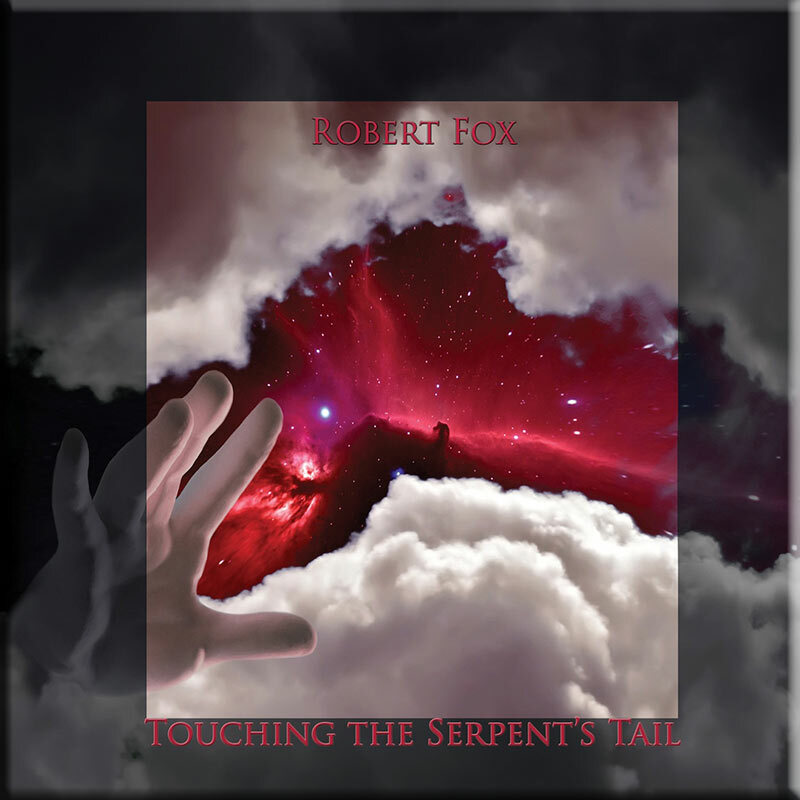 “Touching the Serpent’s Tail” is the twelfth Robert Fox solo album and represents the artist at his most creative. 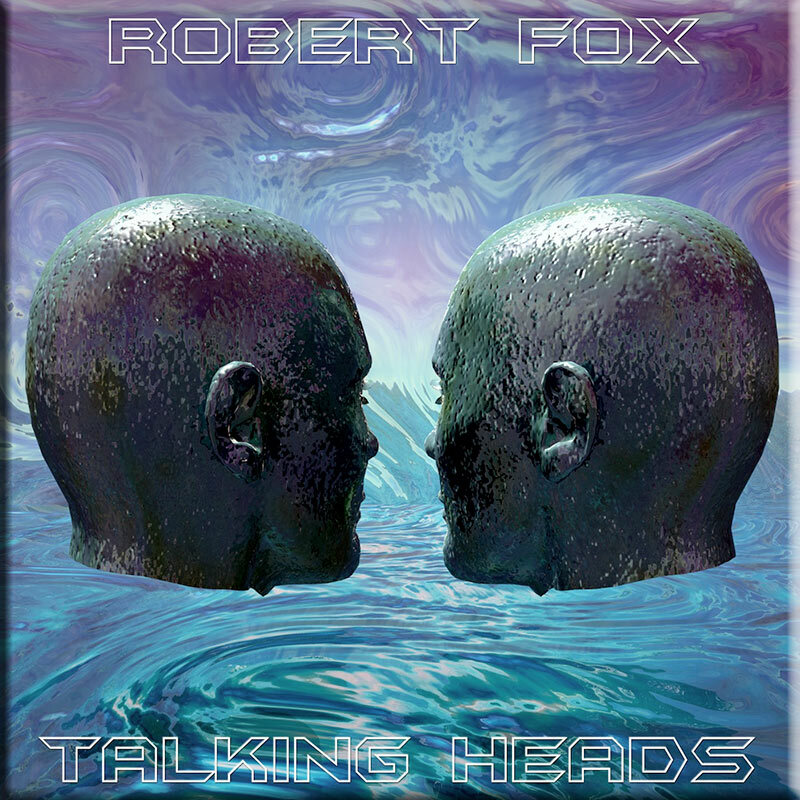 It’s an album so awesome that it will blow your mind and is, quite simply, the best from Robert Fox in years. I’ll say one thing about old Foxie – he doesn’t half love the majesty that you can create with synthesizer music. If any music could be described as “epic” – in the film sense – it’s what he’s playing today! Huge, sweeping layers of absolute grandeur and opulence pour out of each and every track. Even when it’s romantic, it’s powerful, and when he wants to get powerful, it’s romantic. So, with a lump in the throat, eyes like saucers and not a dry eye in the house, allow us to present his latest album: ‘Touching The Serpent’s Tail’. It starts in the relative restrained pleasure of ‘Earth’, which it about as close as he gets to a cosmic track on the album, and even this is laced with an orchestral-styled magic. From there you head off into eight minutes plus of: ‘Another Time, Another Place’, initially on undulating sequencer-like rhythms, as a beautiful piano lead comes into play and synths sparkle and dance all around. That soon-to-be familiar sound of rich synth tapestries form the majestic string-like backdrop, and the whole thing is underpinned with a river of electronic gorgeousness that flows underneath, as the whole piece moves along neatly and delicately, threatening to open out and fly, but keeping it within its chosen emotive limits. ‘The Serpent’s Sweet Song’ largely continues where the previous track left off, only this time the sense of grandeur is even more to the fore as the string synths soar to the heavens amid tinkling percussive synth rhythms, and as the tracks slowly begins to build, eventually becoming something that would accompany shots of vast oceans or arid deserts – the sort of thing a film maker would kill to get done this well. The eight-minute: ‘Weaver Of Chance’ takes all this on board, increases the volume and accelerates the pace slightly, so that the effect is more intense. This all starts to rise as the combination of rich textures and echoed percussive electronic rhythms form a canvas of sweeping chords that move slowly but inexorably forward. It’s big, expansive, wide-screen and breathtakingly panoramic beautiful music that’s loud and majestic, yet somehow serene and spacey too. 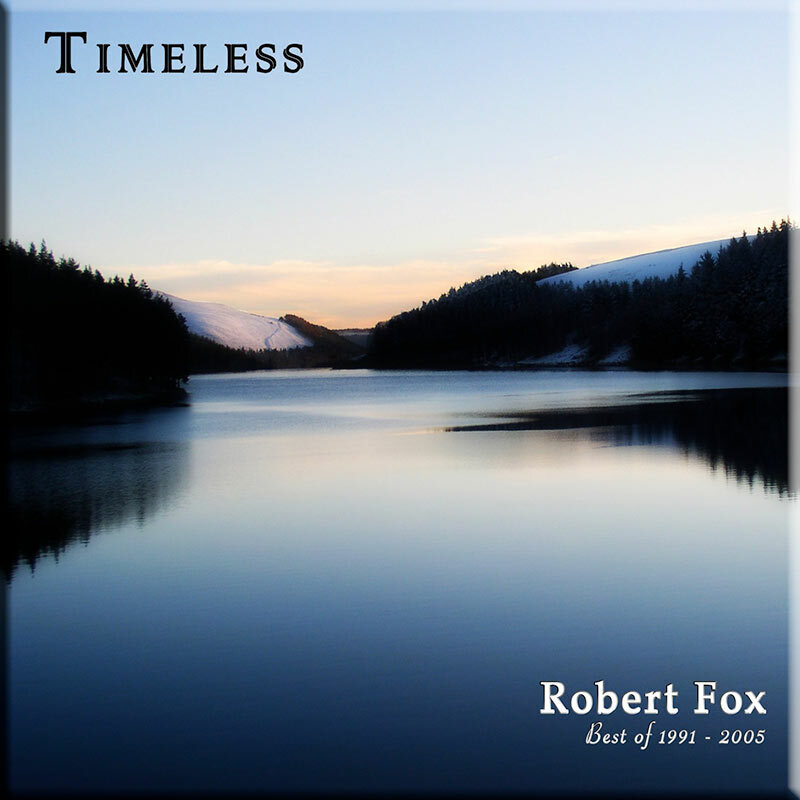 As with most other Robert Fox albums, hints of Vangelis pop up from time to time, but by and large, it remains original, yet somehow familiar, and for the five remaining tracks, that pattern continues. The melodic layers, depths, textures and rhythms run through a heartland of music that provides an ease of enjoyment that is decidedly hypnotic, and way more than its potential money-spinner as “film music”, were that to happen! As I said, synth music of splendour and beauty, substantial yet sweet, pleasant and strong, it’s for those who want their music to carry them off like a warm wind on a cloudy day. Robert Fox versteht es auch auf einer ausgezeichneten Art und Weise Gefühle in Musik auszudrücken.Seine Musik ist sehr ergreifend , melodiös , voller Gefühl und ausgestattet mit einem bombastischen Sound ! 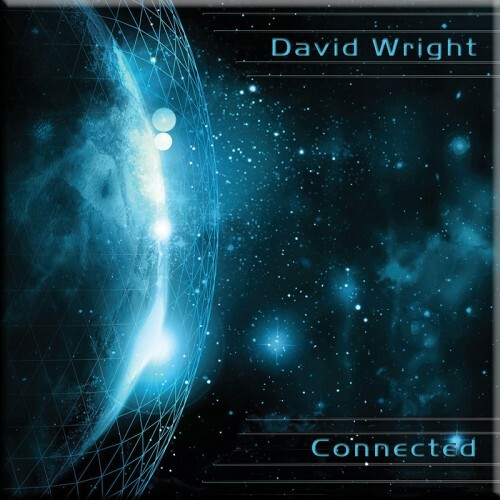 Just like David Wright’s latest album, this newie from fellow AD Music mainstay Robert Fox also has a strong connection to 1995 (you’ll have to buy the album to find out what it is, though!) It’s actually been quite a while since I’ve heard any of Robert’s albums but now that I’ve lent an ear to his latest offering I think it’s safe to say that his musical style has undergone very little in the way of change or development in the intervening period. With the possible exception of the inspiringly spacey opener ‘Earth’ there can be little doubt who you’re listening to. I guess some might feel he’s just re-treading old ground & while this is not a totally unreasonable comment in some respects, what is more important is that he also plays to his myriad strengths throughout with the numerous stand-out tracks proving his well-liked majestic, emotive, symphonic style has lost none of its potency. The superb piano leads that grace ‘Another Time, Another Place’, for example, hit the same emotional heights as his older works & while the choir samples that play a major role on the restful but inspringly atmospheric ‘Strange Voices In Ancient Tongues’ & the heart-tuggingly emotive ‘Of A Time Gone By’ are a definate reminder of the 90s it’s impossible to resist the human feel that they add to the two pieces, the icing on the cake being supplied by typically masterful synthwork in both cases & some achingly emotive sax-like sounds on the latter piece. Similar voices add a similarly emotive touch to the rhythmic closer ‘The Serpent’s Tail’, combining with more soaring synths & stately but assertive percussion to bring the album to a fittingly triumphant conclusion. All of which goes to show that, even if Fox’s music hasn’t progressed that much over the years, it remains the potent force it always was, making this an album that deserves to be heard. A soft soothing lead line drifts above deep reverberating drones. There’s a warmth to it all that is comforting, the subtle melodies caressing my soul. The track is called ‘Earth’ put to my mind sounds more like Heaven as ethereal pads join the lead, almost like angels singing along to it. ‘Another Time, Another Place’ has a rather abstract and slightly eerie beginning. A rhythm comes in and instantly the atmosphere lightens and we are taken forward in joyous mood. A beautiful piano lead line increases the feeling of well being still further. This is an amazing track that would melt the coldest of hearts. Simply stunning. ‘The Serpent’s Sweet Song’ uses melodic percussion as a backing for synth strings to create a slightly mournful atmosphere. Slow faintly ethnic sounding drums increase the feeling of melancholy. From brooding beginnings ‘Weaver of Chance’ becomes quite soothing as wordless choral pads mix with tinkling piano. More ethnic drumming picks up the pace and the piano responds to it lifting the spirits high. It’s as if I am standing on the top of a mountain, a gentle wind blowing as the cloud shadows chase over the ground below. Another beautiful piece. ‘Strange Voice in Ancient Tongues’ starts with Gregorian Chants, OK hardly original but I still love it. A loping percussive rhythm takes things forward as gorgeous thick melodic pads then a delicate lead line once again reach for the heart. Unexpectedly as we approach the middle of the track the mood seems to darken a little but gradually the melodic pads return, as if the clouds that had momentarily obscured the sun had drifted away but there is still a slight edge of unease hinting of their possible return. ‘Of a Time Gone By’ underway. Orchestral pads impart something of a biblical feel. Some sort of mournful horn sound cries out then the Gregorian chants return. It’s a gentle reflective piece maybe bringing up feelings of something or someone lost in the passage of time. More lovely piano bounces over a sedate but still infectious rhythm ensuring that ‘Above the Still Waters’ maintains the feeling of wonder and beauty so carefully crafted over this whole album. ‘The Serpent’s Tale’ brings things to a close. Sampled mystical echoing text over more angelic pads sets the scene then the most forceful rhythm thus far really starts to kick, giving things a guitarless Code Indigo feel, finishing things on a real high. 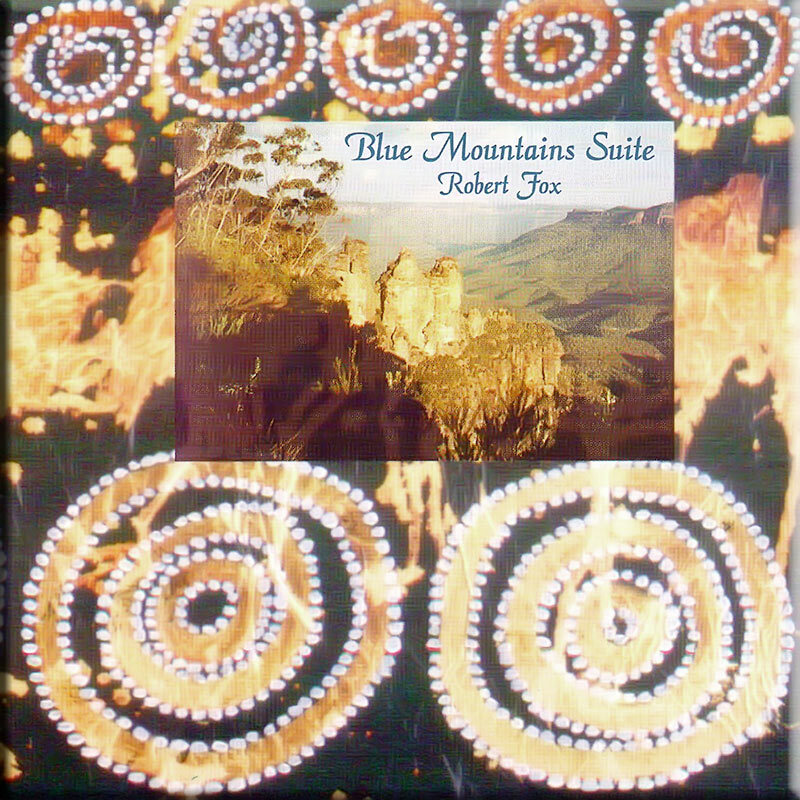 Is this Robert’s best album to date? Hmm, could well be a musical interpretation of a series of images………..or is it??!! A tricky one to write about. AD Music specialise in electronica that belongs, generally, in a specilised sub-genre, one where releases rarely break free to the public’s wider attention. Yet the devotees of artists like Robert Fox, David Wright, Code Indigo et al wax lyrical about each nuance. This release is characterised by sweeping synths and keyboard-based breathy almost-choirs. Tinkling grand piano sounds add breadth and melodic progression. If you’d been around the Full Moon Beach on Ko Phan Gan in the early nineties you’d recognise this sound as the signature of Enigma’s first (and subsequent) albums. The stoner head-trip of a lazy day, hiding from the sun under a shady straw roof. Or maybe you were back in the rainy UK, where the sound was nearly as ubiquitous. You’d not be surprised then when, now and again, a stranger sound, like maybe a gamelan sampled, appears or even when, surprise, Gregorian chant materialises, followed by unintelligible female talking. It’s all very familiar but also enjoyable. For me it soundtracked, variously, a journey to work, a stretch at the computer and, best of all, a lazy Saturday morning reading the paper in bed. Nothing new at all but a collection with a symphonic sweep and tunes that go somewhere.